An attempt is being made to study about the strength and durability of self compacting concrete by using eco sand. The method or procedure to be practiced is partial replacement of fine aggregate by eco sand (10%, 15% and 20%)which is a very fine particle, which may help is reducing viscosity, the most essential step in case of self compacting concrete. Also silica fume is used as an admixture and is replaced in very small quantity for cement. From various studies carried out it has been understood that use of silica fume in self compacting concrete may enhance the durability. In the case of self compacting concrete it does not have any prescribed method for the mix design. The mix design is finalized after trial and error method also based on the tests. More number of trial mix design has to be conducted in order to attain self compatibility of concrete. In order to increases the fineness, workability and durability of concrete, silica fume was used. Super plasticizer was used as water reducing admixture. Slump flow test, V-funnel test, L-box test are to be conducted in order to ensure self compatibility of concrete. 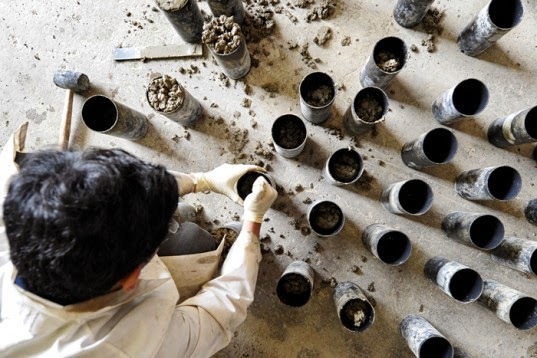 Self-compaction concrete is a recently developed special concrete in which the ingredients of the concrete mix are proportioned in such a way that it can flow under its own weight to completely fill the formwork without segregation and self-consolidate without any mechanical vibration.